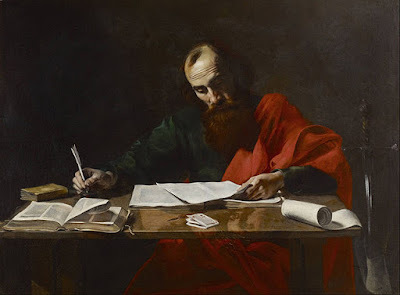 Evangelical Textual Criticism: Paul’s Bible Version in 2 Corinthians 11:3? The New Testament books were written at a significant time in Jewish Greek literary history. Most of the Hebrew Scriptures had been translated at various times and in various places by 132 BC (cf. the Prologue to Sirach’s reference to the Law and the Prophets and the other ancestral books as translated into Greek) with a book or two perhaps translated in the first century AD. To complicate matters, before the turn of the era, some Jews began to revise older Greek translations to bring them into greater alignment with what is now known as the proto-MT or the conservatively copied text and also these same Jews undertook new translations of some books (Lamentations, Song of Songs, Ecclesiastes and perhaps Ruth). This literary event has been called the kaige tradition (it was also called the kaige revision/recension, but that name is passing away) because the revisions and new translations often times translated Hebrew גם/וגם with καίγε (e.g. 8HevXII). Really, the hallmark of the tradition was greater fidelity to the proto-MT than their predecessors (shown in greater quantitative alignment and isomorphic renderings). This tradition culminated in the ultra-literal translation of Aquila (flourished ca. 130). Origen then incorporated Theodotion, Aquila, and Symmachus into his Hexapla along with the Hebrew and the Seventy. But before the Hexapla, the NT authors were caught in the midst of this grand transition. Not only did they cite, allude to, and use the language of the Old Greek (commonly called the Septuagint), they also used other Greek versions of the Hebrew Scriptures circulating during the first century. Since the kaige tradition had commenced by the first century, we should expect to see some evidence of it in the NT. Formerly, scholars would refer to the kaige-Theodotion version or a Proto-Theodotion to explain this phenomenon. But these terms were introduced to explain the alleged discrepancy between a presumed historical Theodotion of the second century AD and a Greek version of the Hebrew scriptures that was extant in the first century. A better way forward is to suggest that historical Theodotion actually lived and worked in the early part of the first century and reinterpret the patristic statements that presumably locate him in the second century, but I can’t defend that thesis in this post. But what happens when we make this shift? Let’s look at Paul’s allusion to Genesis 3:1 (see edition by Field for the texts given below) in 2 Corinthians 11:3. Clearly, Paul’s word choice more closely parallels the language of the Three revisers in Genesis 3:1 than the LXX. That is, Paul used the NKJV, not the KJV. The Three chose a word that was a bit more negative than the OG’s “most sagacious” to render Hebrew עָרוּם. Since the version of Theodotion was extant in the early part of the first century, Paul probably knew of it and alluded to it when making the comparison between the serpent’s craftiness and the teaching of the false apostles. At 2 Corinthians 11:3, NA 27/28 notes the allusion to Genesis 3:1 but not the specific version. Should NA indicate to which version the NT author alludes? It seems this could be helpful to the reader so that we don’t assume the NT author is always referring to the Hebrew or the Old Greek. What do you think? Furthermore, we should continue to pay attention to the hexaplaric remains when we interpret the citations, allusions to, and language of the Greek scriptures in the New Testament. Dirk Jongkind has made a similar point on Matthew 2:15 here. Thanks for this post, I particularly like the NKJV and KJV comment. From a strictly human experience perspective, the use of current OT translations by NT authors makes sense. Obviously, the historical reality could end up totally opposite. I am fascinated by the Greek translations of the OT and look forward to further discussion of them. Thanks for your comment. I assume you mean that it's possible that the Three Revisers used Paul's rendering of Genesis 3:1, especially if Theodotion comes later? Have I understood you correctly? There will be further posts on the Revisers and the Hexapla. Stay tuned. Yep, I reversed it! Old age! JM: "Paul used the NKJV, not the KJV." There you go, proof positive: "If the NKJV was good enough for Paul, it should be good enough for me." I'm sure you will be quoted far and wide on this one. Thomas Nelson Co. probably is already planning an ad campaign. MAR: I'm so glad you and TJ picked up on that one. Admittedly, this sentence came to me right before posting, and I added it. It still makes me chuckle when I read it :). This particular point of loose correspondence doesn't seem sufficient to warrant a firmly worded note about which OT text Paul was using; I rather suspect that if one were to analysis such general allusions in the writings of modern-day preachers, one could find coincidental agreements between their descriptions of OT events, and English versions that the preachers never used. You may be right. We can always quibble about what's an allusion and what's not. But if you agree that Paul is alluding to Genesis 3:1 (which I'm sure you do), then the closer verbal correspondence to Theodotion over the older Greek version (LXX here ;-)) is more probable, right? I have more examples of this sort of thing in the NT planned for future posts, which should lend more probability to what I'm saying here, but I can't say everything in one post. Do we have Theodotion versions of Gen 22:2? The apparent connection with John 3:16 looks pretty clear in the translations of the bible (English, Latin), but isn't as clear in the Greek Christian bible as the Septuagint drops 'monogenes/only'. Aquila: τὸν μονογενῆ or μοναχόν, so there is a textual issue there. These, of course, differ from OG/LXX: τὸν ἀγαπητόν. Another matter to consider is that even if the Aquila reading is later, he around 130 could still be transmitting first-century Jewish interpretation/translation of the text. So very interesting reading here. φρόνιμος has a positive sense which is clearly inappropriate for Paul's point. πανουργία is a word that he uses several times, and clearly fits. Also, the Greek OT translations of the 2nd century AD seem to be unlikely sources for Paul. Joel, thanks for your comment. I agree with the first point but not necessarily the second for two reasons. (1) It is now fair to say that dating Theodotion to the second century is an assumption, since scholars are now shifting opinion for good reason to date the materials bearing his name (then why not actually date him?) to the early part of the first century (not just the NT). See the relevant articles in the Textual History of Bible by Brill in vol. 1A and elsewhere in the series. Therefore, I'm suggesting here (not defending, yet :-)) that Theodotion and his version are part of the first century context. (2) Even if they weren't part of the first century, the second-century revisers could still be dependent on first-century exegesis and interpretation for their renderings. That's harder to prove obviously, but I think it's a fair assumption to let linger until we can disprove it. This post brought to mind something Schreiner points out in his commentary on Romans: Paul consistently uses ἐξαπατάω to refer to the deception in the garden, even though Gen 3:13 LXX uses ἀπατάω. I wondered if Field would shed any light. If I'm reading him right, Aquilla is known in at least that part of Gen 3:13 but does not use Paul's form; Theo and Sym seem to be unattested. Would you speculate that Theo, not now extant, was Paul's source, or is this too subtle a matter for alternative versions of the OT to have influenced NT writers? 4 Kdgms (2 Kings) 19:10 contains an anonymous note with ἀπατάω. This is not the reading of the OG but some other version. Jer 37:9, in a note attributed to Aquila and Symmachus, also has ἀπατάω. There were a few other occurrences of this translation equivalence (some including Theodotion) and there could be more of ἀπατάω for II נשׁא, since I only checked Field. Thus it's possible that Theodotion would have used this Greek verb or a compound form of it. More interesting, perhaps, is Symmachus's rendering of the Hebrew verb in Psalm 89:23 with ἐξαπατάω, showing that at least in the second century, Jewish revisers used that Greek verb for the Hebrew verb in question. Now, that doesn't mean Paul had access to a Symmachus reading. What I think it does show is that Paul breathes this air. He's not strictly committed to the wording of the LXX (though he uses it a lot!) but he also knows how Jews in the first century read the OT in Greek and he is conversant with those readings also. Unfortunately, we don't always see those readings in first century Jewish sources, but often times we will see them in second century documented sources which are most probably picking up on earlier ways of reading the text, which are undocumented. Thanks, that's a helpful way to look at it. I don't know how to type Greek on my wife's smartphone, but I noticed the word choice for referring to creation might have had a common source as a Hexaplaric reading (Aquilla iirc) in Gen 1:1.